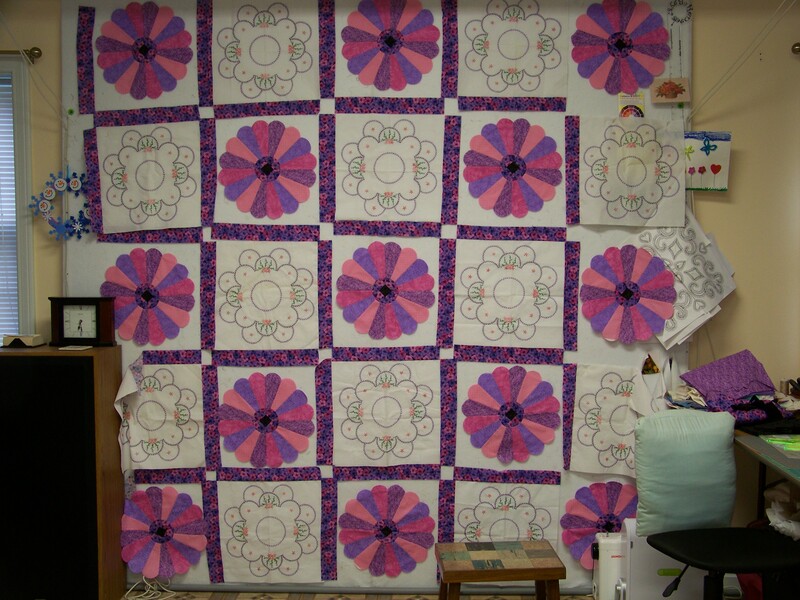 Today I took the day off from my Gammill because I finished a really tough, big quilt yesterday. 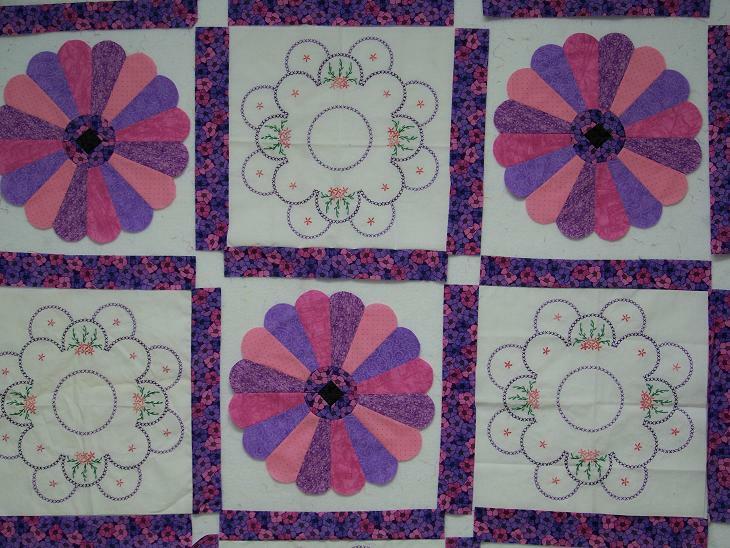 I sat at my machine and sewed together some Dresden plate blocks. I still have to turn the edges under on all the blades. Ugh… I am not fond of that part. But it will be good to have some hand work to do do in front of tv. After turning the edges under, I plan on machine stitching them to a plain block. The cross stitch/embroidery blocks I hand stitched about 8 years ago. I would really like to get this put together and finished this year.